Ultra2/Ultra3 SCSI provides the most competitive performance choice for high-traffic workstations, servers, multi-user systems, and storage area networks (SANs). External Ultra2/Ultra3 LVD/SE Cables from Cables To Go meet these needs by increasing bus bandwidths, allowing greater configuration flexibility, backward compatibility, and faster transfer rates. 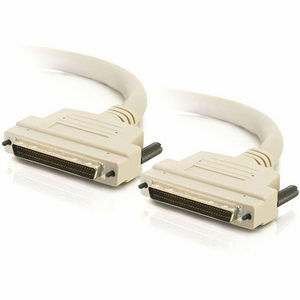 Ultra2/Ultra3 cables support up to 80/160MBps performance, up to 16 peripherals without creating a bottleneck.